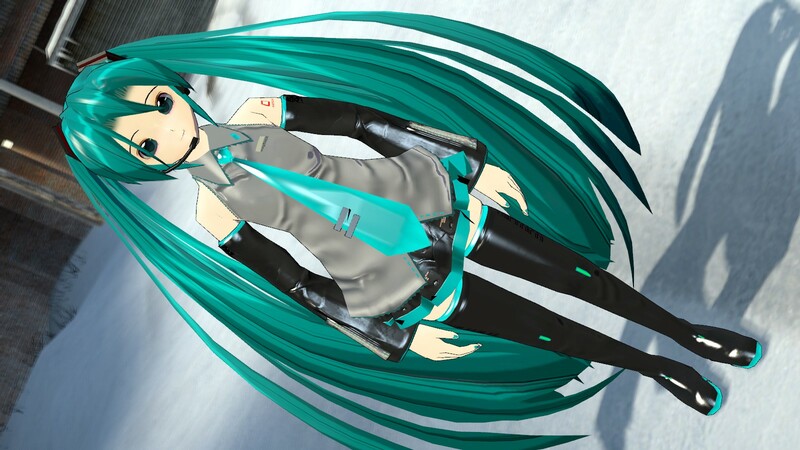 Hatsune Miku V3 for Garrysmod and Obsidian Conflict player model. 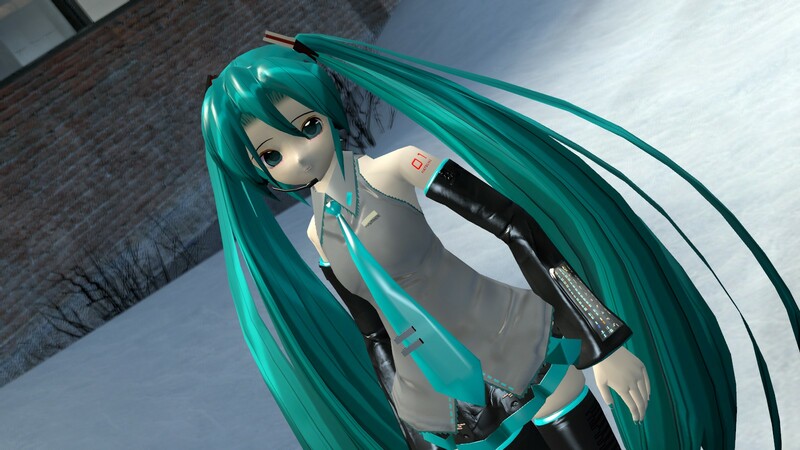 This model was specially commission by Raidensnake as to improve quality of model for gamer use. 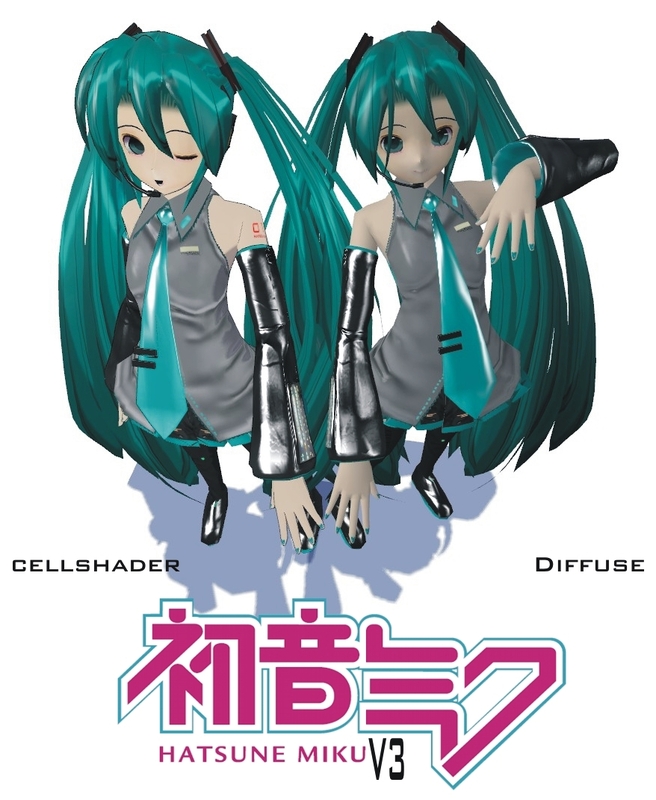 2 new model is provided, cell-shader and diffuse. 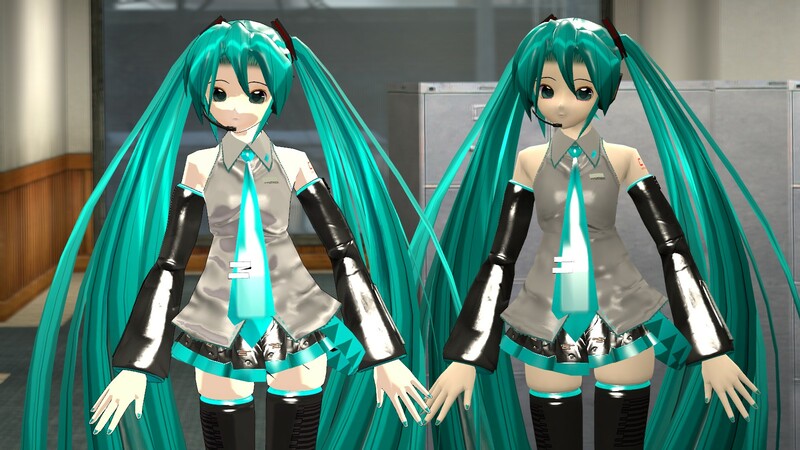 Both with new figure from Naluri V5 reference model. 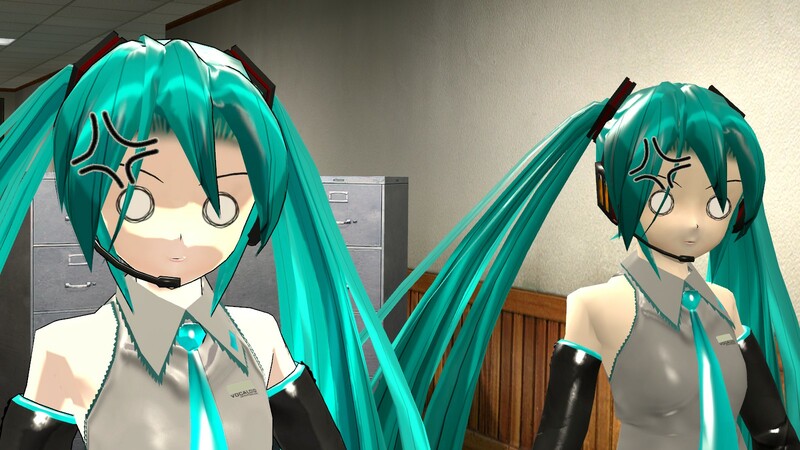 Not only that, new faceposer expression was added to allow gmodder to use its variety shows of her emotion. 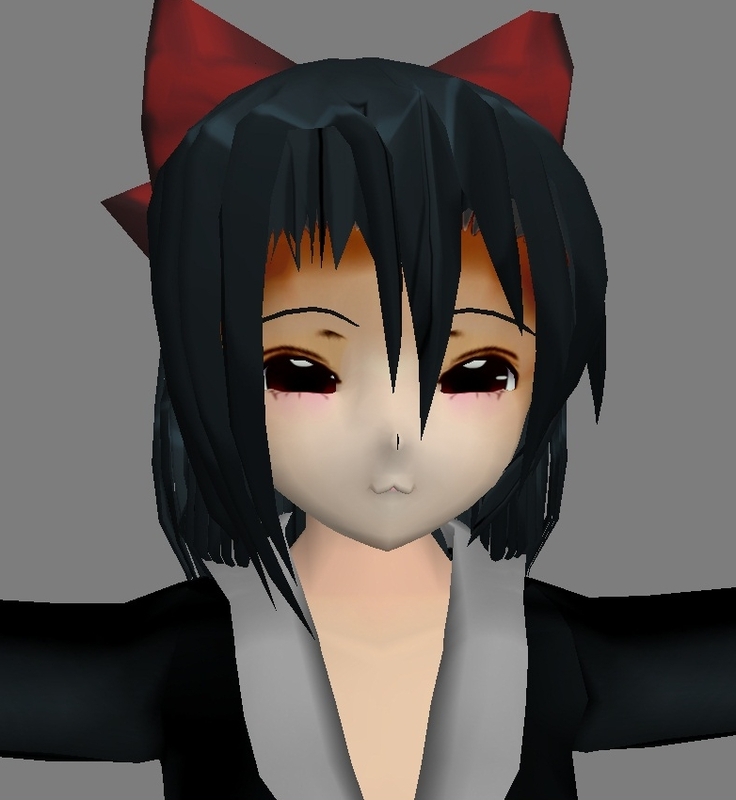 The default faceposer still remain inside. A bit new expression such blink happy, cat smile, angry mark, cry bubble, not amuse, and more is provided as an extra. I’m hopping gmodder will use this feature nicely. wait till next update! Please Subscribe “Email Subscription” at the side to get automatic notification to email. I already have an autoexec.cfg with that convar, so adding it is useless. Just put that tip in the read-me. I can’t access the downloads section, what is going on? ATTENTION TO ALL FANS, MY DOWNLOAD SITE WILL BE OFFLINE FOR 1 DAY STARTING 25FEB12 BECAUSE SERVER UPGRADING. MAKE SURE YOU GUYS GET THE MODEL AS QUICKLY AS POSSIBLE. Well I guess it is still in the middle of upgrade.